After hitting .418 in his first 15 games with the Fresno Grizzles the Houston Astros made the move to promote the hot hitting Hoes to the major leagues. On fire at the AAA level Hoes hopes to make an impact and stay with the major league club throughout the 2015 season. Hoes has spent parts of the 2013 and 2014 seasons with the Astros major league club after coming over to Houston from Baltimore in the Bud Norris trade. 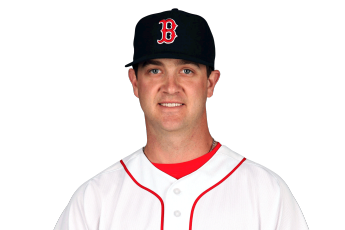 Also making his way back to the major leagues is Steven Wright. The knuckleballer made the opening day roster and pitched five innings in the epic 19 inning victory the Red Sox had over the New York Yankees. Wrights versatility will help the Red Sox staff in the bullpen or in the rotation he is called upon. After finishing off a solid 2014 campaign with the Bowling Greed Hot Rods, Jacob Faria was promoted to the Rays advanced class A affiliate in the Florida State League. In his first three starts of the season the 21-year old right hander has only allowed two earned runs in 17 innings pitched. Armed with an ERA of just 1.06 and an even lower WHIP of 0.94, Faria had picked up the win in each of his three starts. Early on in the season Faria’s game plan has been working “Everything has been working as of late. Just mixing everything up and pounding the zone. That’s been my game plan so far” said Faria when we caught up with him briefly after his last start. Faria will make his fourth and final start of the month of April on the 28th and looks to close the book on a successful first month of the season when he faces off against the Bradenton Marauders. Through 12 games with the AAA Fresno Grizzlies outfielder L.J Hoes has been on fire. In his first 44 at bats, Hoes has connected for 19 hits (including six doubles and one triple) and has a current batting average of .432. The right-handed hitter has also walked three times and has an on base percentage of .477 and an OPS of 1.111. In his April 22nd start against the Salt Lake City Bees, Hoes went 5 for 5 and drove in a run in the Grizzlies loss. If Hoes continues his hot start it should be only a matter of time before he gets the call back to the majors with the Astros. Last Thursday super utility man Barrett Kleinknecht made his AAA pitching debut. Kleinknecht had already appeared in four previous games while with the Mississippi Braves. In his latest appearance, Kleinknecht went 2/3 of an inning striking out one of the two batters he faced. In a career 6 2/3 innings pitched the Francis Marion grad has fanned seven batters for an impressive strikeout rate of 9.4/9 innings. Over the course of his career in the Braves organization he has appeared all over the diamond. After being promoted to AA-Mobile by the Arizona Diamonbacks Cody Wheeler was nearly unhittable. In 20 appearances with the Baybears, Wheeler finished 2-0 while only allowing one earned run and six hits in 22.1 innings pitched. Wheeler continued to be able to strike batters out at a high level, striking out 27. He did however struggle with walking batters allowing 20 batters to reach base via the walk. At the end of spring training the Diamondbacks surprisingly cut ties with Wheeler leaving him with out a home to start the 2015 season. The Orioles quickly called Wheeler and offered him a contract. Wheeler flew to the Orioles facility in Florida and spent a few days with the Orioles staff. This week he was assigned to the Orioles Advanced A affiliate, the Frederick Keys and looks to work his way back up to the AA level during the 2015 campaign. The Frederick Keys won both games of the twin bill today with the Lynchburg Hillcats. The 6’9 Rheault made his third appearance of the year in the second game and got the final two outs to earn the save for the Frederick Keys in their 4-3 victory. It was Dylan Rheault‘s eighth career save, the right hander notched seven saves in 2014 as a member of the Delmarva Shorbirds bullpen. We are over a week into the major league season and one full week into the minor league season. Over the course of the first week of the season these were the performances that have stood out. Steven Wright opened the season on the Red Soxs 25-man roster and was set to get a start against the New York Yankees. Things changed however when the Red Sox and Yankees battled to the wee hours of the morning. Tied 2-2 heading into extra innings the Red Sox exhausted their bullpen by the 14th inning. Steven Wright was called upon in the 15th inning. He would pitch 5 innings and while he did allow 2 runs the Red Sox also scored 2 runs in those innings. The Sox’s added a 5th run in the 19th and Wright shut the door on his 78th pitch of the game for the victory. The win ranked as the 2nd longest victory in the history of the Red Sox. Wright was sent back to Pawtucket following the game to make room for Joe Kelly. Wright will be ready to be called upon whenever the Red Sox need him during the season. In Jimmy Nelson‘s first start of the 2015 season he shut down the Pittsburgh Pirates line up over seven innings of work. Nelson only needed 88 pitches to strike out nine Pirate hitters while keeping the Pirates off the scoreboard. Nelson picked up his first win of the season as the Brewers went on to win 6-0.
to earn the victory over the For Myers Miracle. Faria struck out seven while holding the Miracle to four hits and one walk over his six innings. McCullers making his AA debut with the Corpus Christi Hooks pitched five scoreless innings and picked up the win over the Tulsa Drillers on April 12th. He struck out seven Driller batters while walking three. After making a brief appearance out of the bullpen in Harrisburg, Zack Dodson made his starting debut on April 13th against the Richmond Flying Squirrels. Dodson went five scoreless innings and held the Squirrels to only three hits to earn his first victory of 2015. Remember to like us on Chasing MLB Dreams on Facebook and follow us on @CTD_Sypien for more information, posts and updates.